Ingredients matter. Does your sunscreen leave you overexposed to damaging UVA rays? Does it break down in the sun? Does it contain compounds that may disrupt your hormones? Wear clothes. Shirts, hats, shorts and pants provide the best protection from UV rays – and they don’t coat your skin with goop. Find shade – or make it. Picnic under a tree, read beneath an umbrella or take a canopy to the beach. Keep infants in the shade – they lack the tanning pigments, known as melanin, that protect skin. Avoid sunscreen with vitamin A. Eating vitamin A-laden vegetables is good for you, but spreading vitamin A on your skin may not be. Government data show that tumors and lesions develop sooner on skin coated with creams laced with vitamin A, also called retinyl palmitate or retinol. It’s in 12 percent of all sunscreens we reviewed in 2018. Avoid any skin or lip product whose label includes retinyl palmitate, retinol or vitamin A. Avoid oxybenzone, a synthetic estrogen that penetrates the skin and can disrupt the hormone system. Look for products with zinc oxide, 3 percent avobenzone or Mexoryl SX. They protect skin from harmful UVA radiation. Pick a good sunscreen. 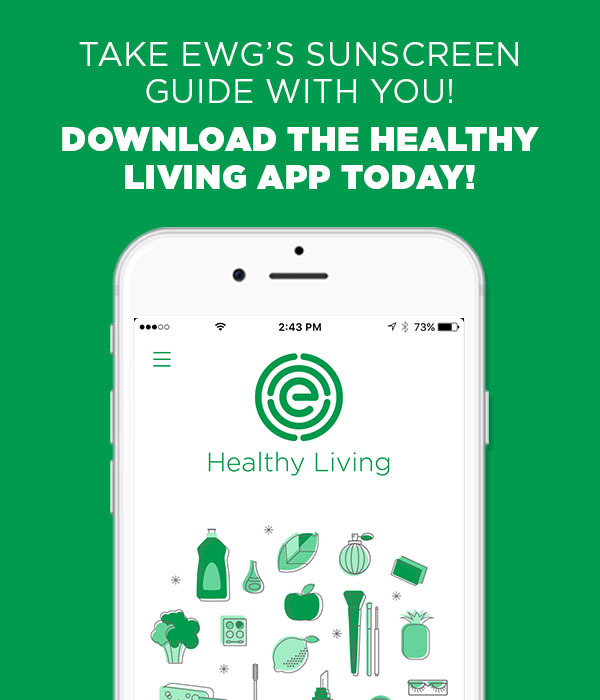 EWG’s sunscreen database evaluates the safety and efficacy of SPF-rated products, including approximately 650 sunscreens for beach and sports use, 250 SPF-rated moisturizers and 115 lip products. 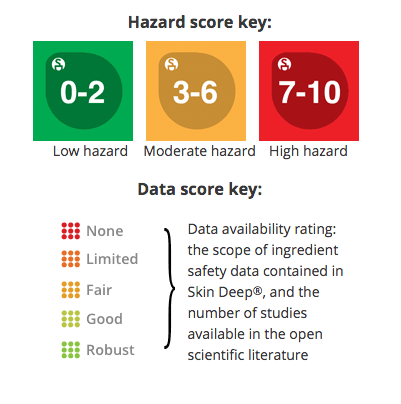 We give high ratings to brands that provide broad spectrum, long-lasting protection with ingredients that pose fewer health concerns when absorbed by the body. Reapply cream often. Sunscreen chemicals sometimes degrade in the sun, wash off, or rub off on towels and clothing. Men ignore sun safety at their peril. In 2015, more than twice as many American men died from melanoma as women. Surveys show that 48 percent of men report routine sun avoidance, compared to 68 percent of women. A few blistering sunburns in childhood can double a person’s lifetime chances of developing serious forms of skin cancer. The best form of sunscreen is a hat and shirt. After that, protect kids with a sunscreen product that’s effective and safe. Cover them up with protective clothing, tightly woven but loose-fitting, and a sun hat. 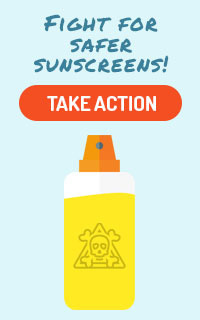 Follow product warnings for sunscreens on infants younger than 6 months old. Most manufacturers advise against using sunscreens on infants or advise parents and caregivers to consult a doctor first. 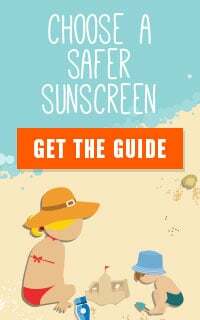 The American Academy of Pediatrics says that small amounts of sunscreen can be used on infants as a last resort when caretakers can’t find shade. Sunscreens are an essential part of a day in the sun. But young children’s skin is especially sensitive to chemical allergens, as well as the sun’s UV rays. Teenagers coveting bronzed skin are likely to sunbathe or patronize tanning salons, both of which are bad ideas. Researchers believe that increasing UV exposure may have caused the marked increase in melanoma incidence noted among women born after 1965. Tanning parlors expose the skin to as much as 15 times more UV radiation than the sun and contribute to the increase in melanoma rates. Be good role models for your teens – let them see that you protect yourself from the sun. Tan does not mean healthy.